Below is a collection of interviews, guest posts and publications featuring my art and writing. 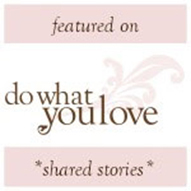 Read about my Single Rose Project in “Flavors of Love” here. 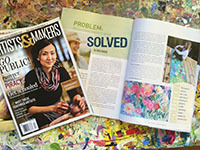 I share how to awaken your creative spirit in my article, “Making Art from a Place of Love.” Nov/Dec 2017. Read my thoughts here. 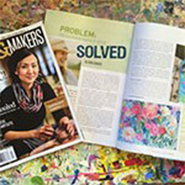 Read my article about how to grow your business by blending your passions in Artists & Makers Spring 2015 magazine here. Read my guest post about how to become an intuitive artist on Cloth Paper Scissors here. ROSIE IS ON THE COVER! 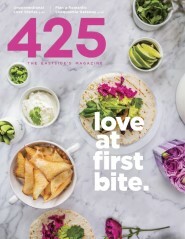 My article, “The Art of Turning Burdens into Blessings” is included in this gorgeous Stampington magazine. Available to purchase in my shop here. 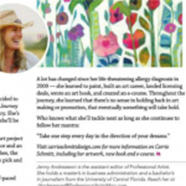 Honored to be the Artist Spotlight in Professional Artist Magazine’s Feb/March 2015 issue. You can get a copy here. Check out my original painted yoga mats featured in Cloth Paper Scissors Jan/Feb 2015 magazine here. by Carrie Schmitt (North Light Books, 2015). Learn to paint expressive flowers in my art technique book that shares tips and techniques on how to create from a place of joy and gratitude. Available here. 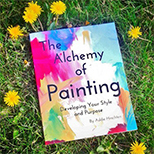 My art and creative musings are shared in this book by Addie Hirschten. Available here. My artwork and writing is included in this wonderful technique book by Mati McDonough and Faith Evans-Sills. Available here. 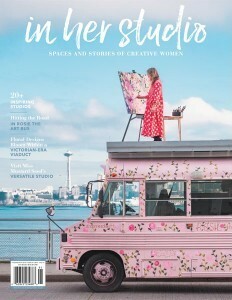 Honored to be one of 46 artists interviewed and featured in this inspiring collection by Janine Vangool. Available here. 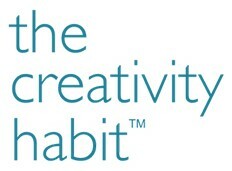 Listen to my intimate interview on The Creativity Habit here. 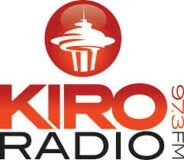 Listen to my radio interview with KIRO Radio here. 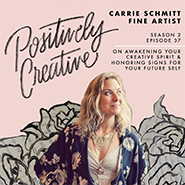 Listen to my interview via podcast on Positively Creative here. 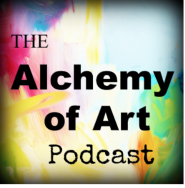 Listen to my interview via podcast on The Alchemy of Art here. 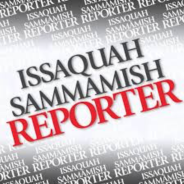 Listen to my radio interview with 1150 AM KKNW radio here. Listen to my interview via podcast on Smart Creative Women with Monica Lee here. A video recording of a live online presentation about my art and book, Painted Blossoms. Watch here. 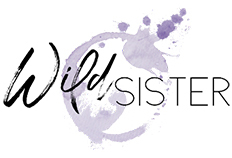 Read my interview with Wild Sister here. 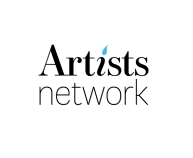 Read my article, How Creative Acts Empower Your Life and Art, on Artists Network here. Interview about my art and more available here. 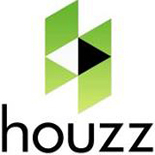 Read my story here from Sept. 2012. Read my interview on Flowerona here. 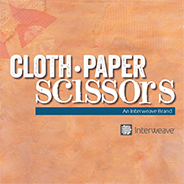 Read my guest post, The Key to Finding Your Individual Style on Cloth Paper Scissors here. Read my interview about motherhood and creativity on Fuller by Design here. Read my guest post here about how to write for an online audience.